It's been a little while since I last posted, but I have a boatload of photos for you today. 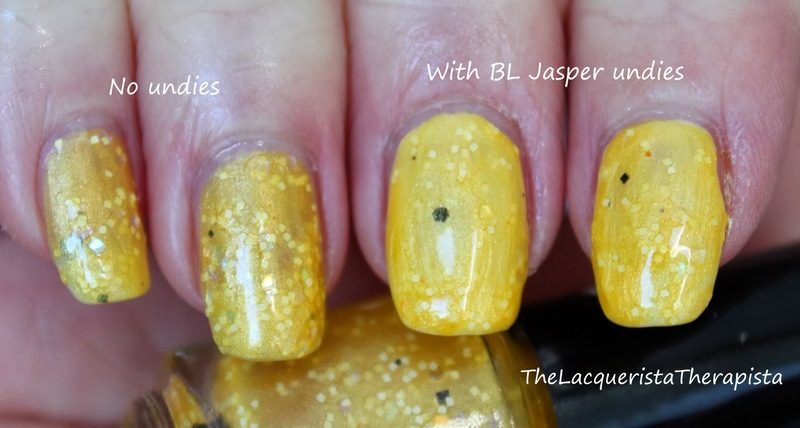 I was able to review a few polishes from a new indie polish brand called Finger Lickin' Lacquer. This brand makes scented polishes, although you can opt for the unscented versions if you prefer. 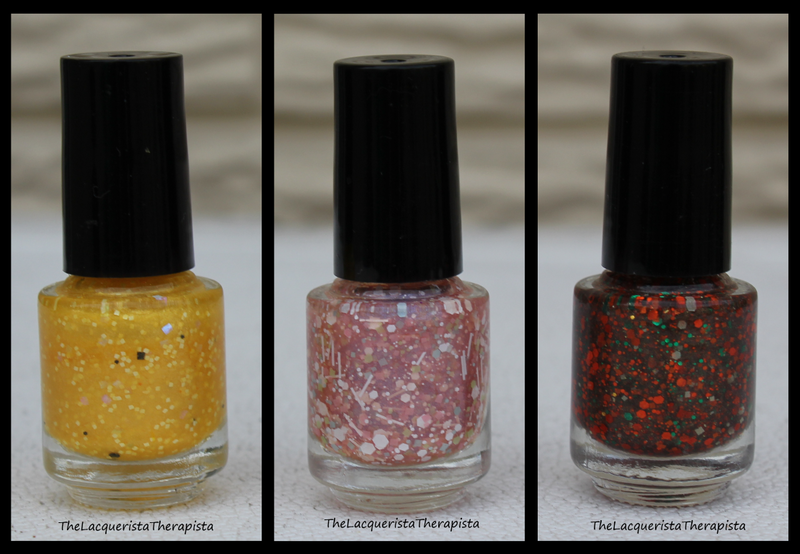 I have 3 polishes from the Tooth Decay line: Not A Peep, Fairy Floss, and Truffle Shuffle. First is Not A Peep. This one is modeled after those Peep candies that used to only appear in the Spring, but now seem to be omnipresent. 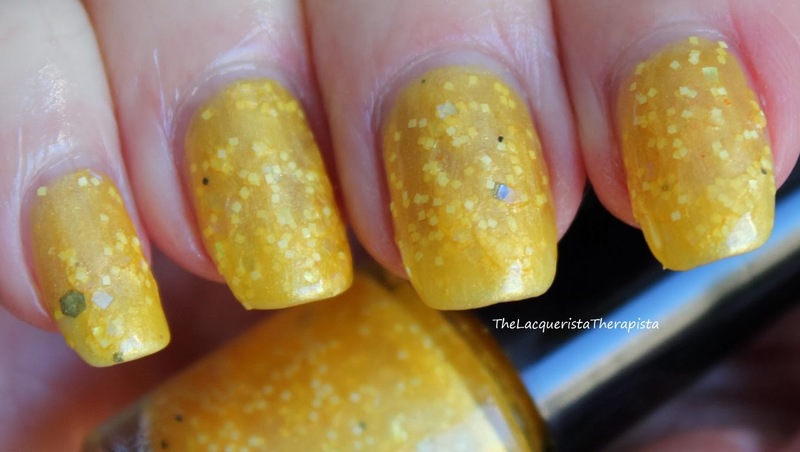 It is a bright, shimmery yellow base with with small white glitter--both round and square, clear iridescent square glitter, and a very small amount of small black glitter (for the eyes!). It smells like Peeps. This polish goes on very smoothly. I didn't have any trouble with the small glitter, although there wasn't very much black glitter in the bottle so I had to search a little for it. Glitter lays flat. The scent was very sugary sweet, much like the candy, but it also had a chemical smell to it, which I did not like. After it dries down, the chemical smell dissipates a bit, but I still noticed it. The above photos are 3 coats with top coat. 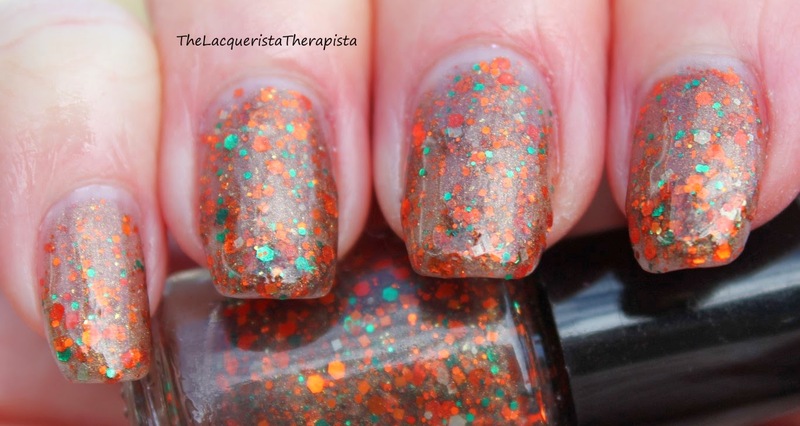 It would be fine in 2 coats, but I wanted to build it up a bit more as it is a little sheer. I also tried Not A Peep with a base color (undies). For these, I used Butter London Jasper. Next is Fairy Floss. 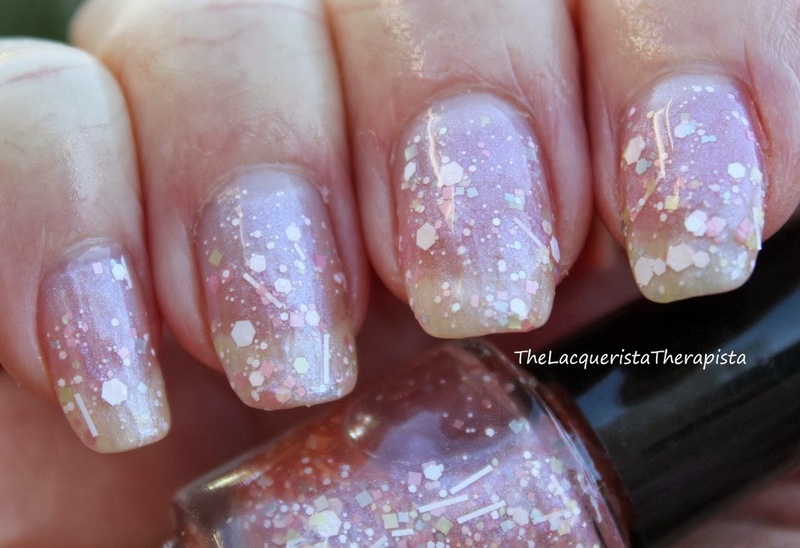 This one is a sheer pink base with a bluish iridescent shimmer. 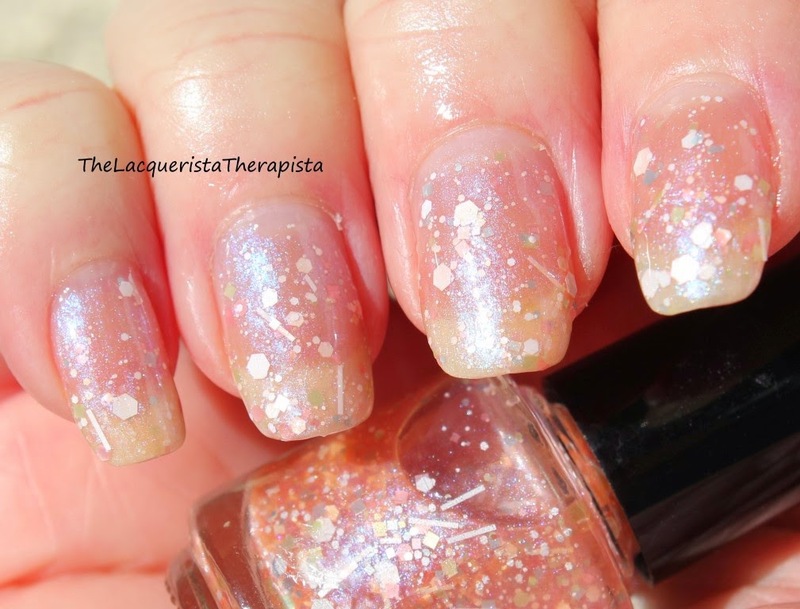 It contains white hex glitter of varying sizes, light pink glitter, white bar glitter, matte silver and gold glitter. It smells like cotton candy. I think this one is very pretty. 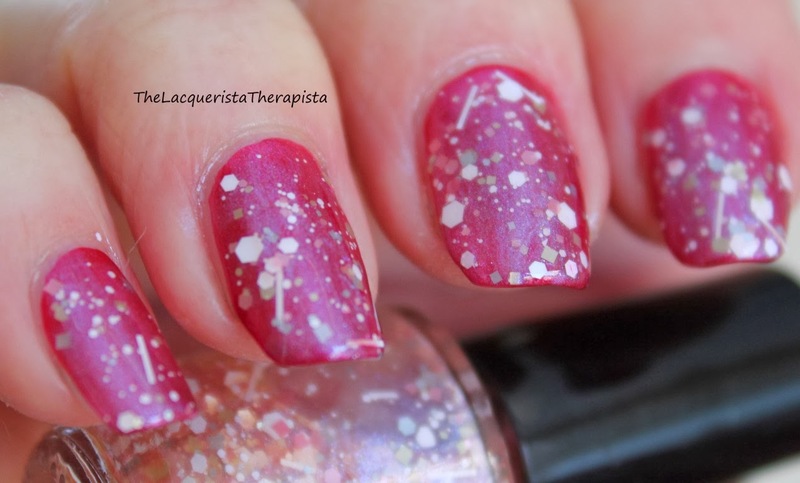 I'm usually not into sheer polishes, but I love how this one adds a touch of fun (and fairy dust?) to my nails without being in-your-face. I used 3 coats with top coat here because I wanted to see if I could build it up, but 2 coats would be fine. No problems with the glitter. This one smells like cotton candy, but like Not A Peep, it also had a chemical smell. It is not as sugary sweet as Not A Peep, but still sweet. I wore this one for 24 hours and I could still smell the cotton candy after numerous hand washings and a shower. This polish would make a good topper and because of the iridescent shimmer, I had to try it on a darker base...for science. 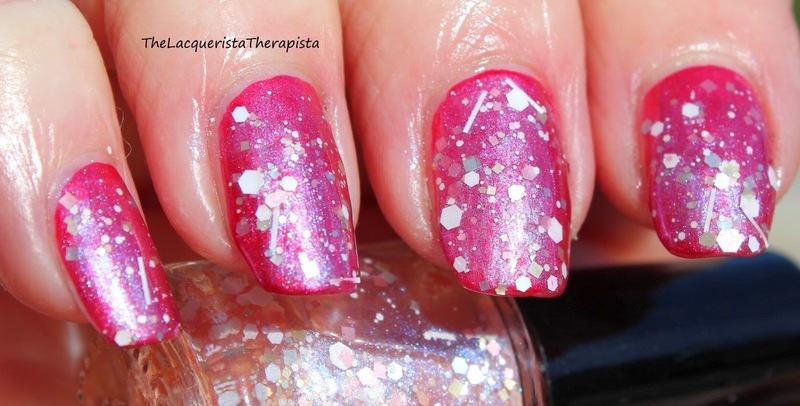 The following is Fairy Floss over Julep Cleopatra (a black polish). It's like an entirely different polish over black! 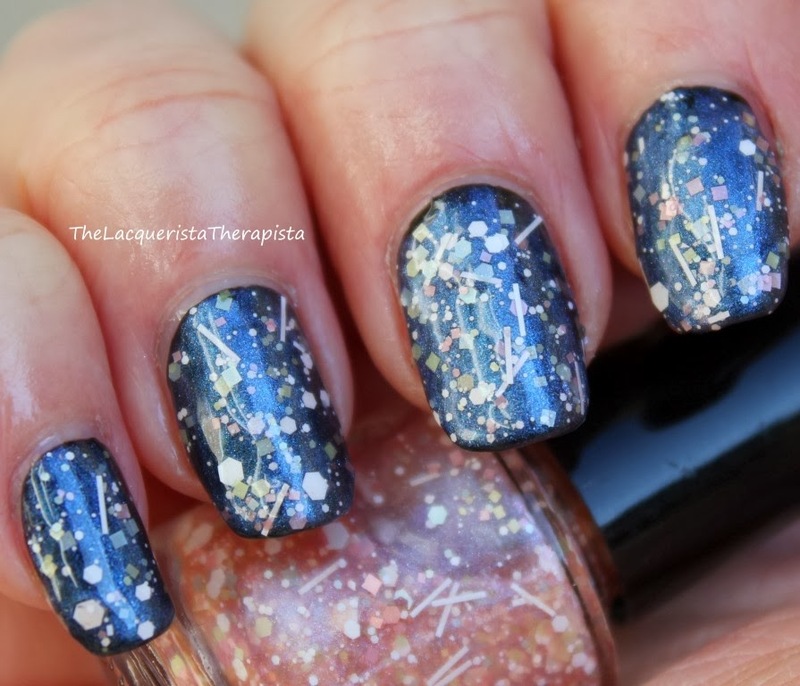 It really allows the blue shimmer to show through. For good measure, I also put it over a red, Orly Crawford's Wine. Lastly, this is Truffle Shuffle. 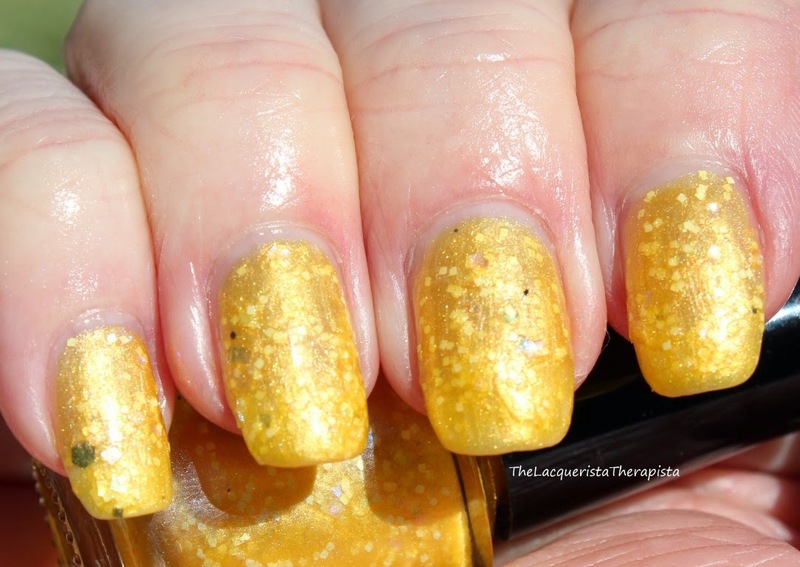 It is a sheer brown base with a gold shimmer, orange and green glitter of varying shapes—hex, square, circle—and a smattering of matte gold glitter. Smells like chocolate. Sadly, the sun was being shy behind some clouds so I couldn't get a direct sun shot. 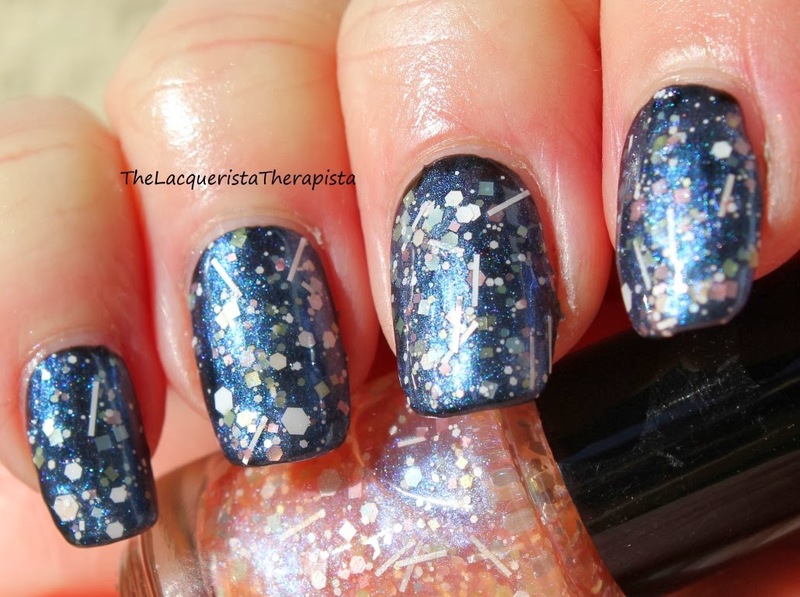 I used 3 coats here with top coat, again, because I wanted to see if I could build it up. I like the depth that you can achieve with this polish. No problems with the glitter. It really does smell like chocolate, but with that same chemical scent present in the other two. I tried this one with two base colors and posted comparison pics. 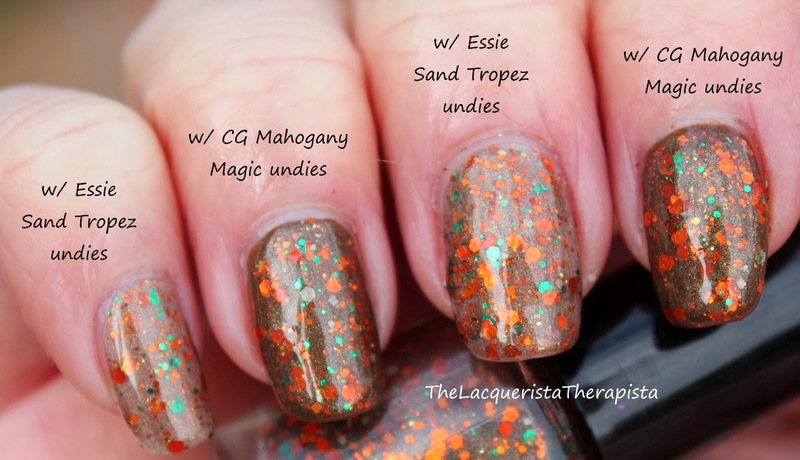 For base colors, I used Essie Sand Tropez and China Glaze Mahogany Magic. Finger Lickin' Lacquer polishes will be available beginning February 17, 2014 at http://fingerlickinlacquer.com/shop/. Bottles are $8.50 each. Finger Lickin' Lacquer polishes were provided for review. All opinions are my own. Comments? I'd love to hear from you.